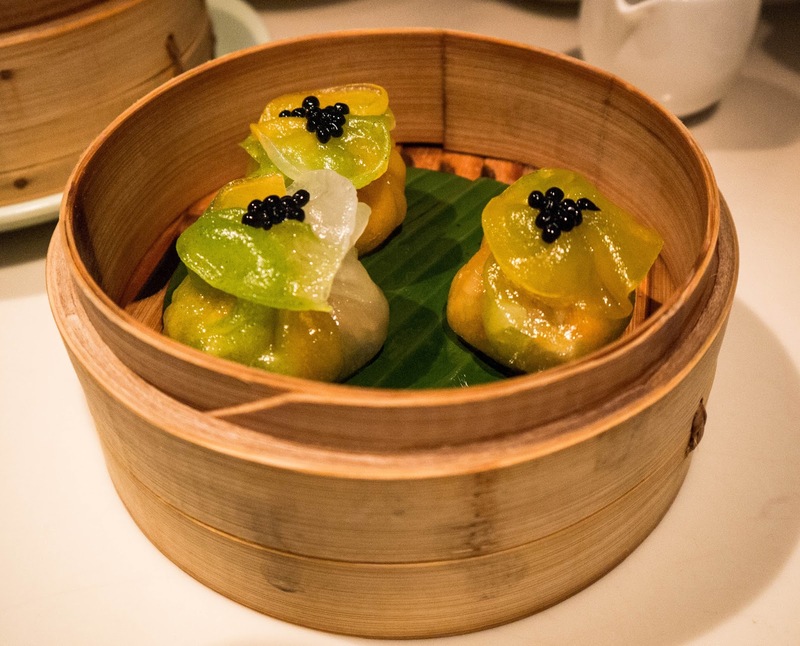 Last week David and I celebrated Chinese New Year and the start of the Year of the Monkey at Yauatcha Soho; one of my favourite restaurant groups in London. 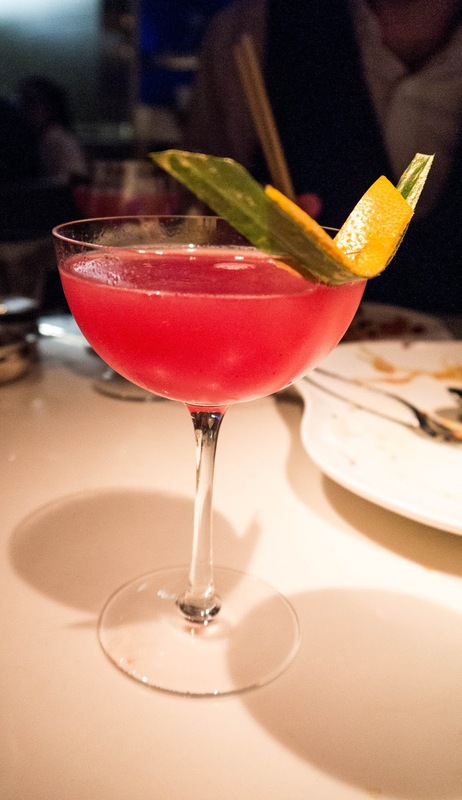 Yauatcha have teamed up with Monkey 47 Shwartzwald Dry Gin, a delicious gin made of 47 different botanicals, to offer a very special menu to celebrate one of the most auspicious and special moments in the Chinese calendar. And this one was one very special evening of delicious food and cocktails and an excellent toast to our new flat, too. After a hectic day at work for David and a not so hectic day of a little bit of studying and a facial for me, we were very much looking forward to enjoying some incredible food and cocktails at this Michelin starred restaurant. The Monkey 47 gin based cocktail flight started with a Saffron gin and tonic; a very luxurious and special drink that was very well suited to bring in the new year. We both loved the hint of Saffron in what can traditionally be a very British drink. 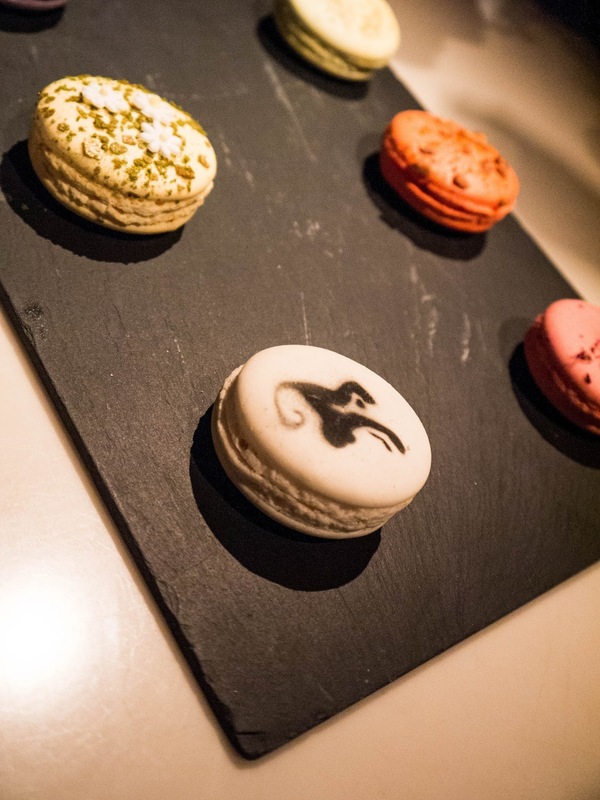 The entire menu, from drinks straight through to macarons, has been designed with the Year of the Monkey and Chinese culture in mind. The Saffron in this drink bringing out the fire element of 2016, both in colour and in taste. 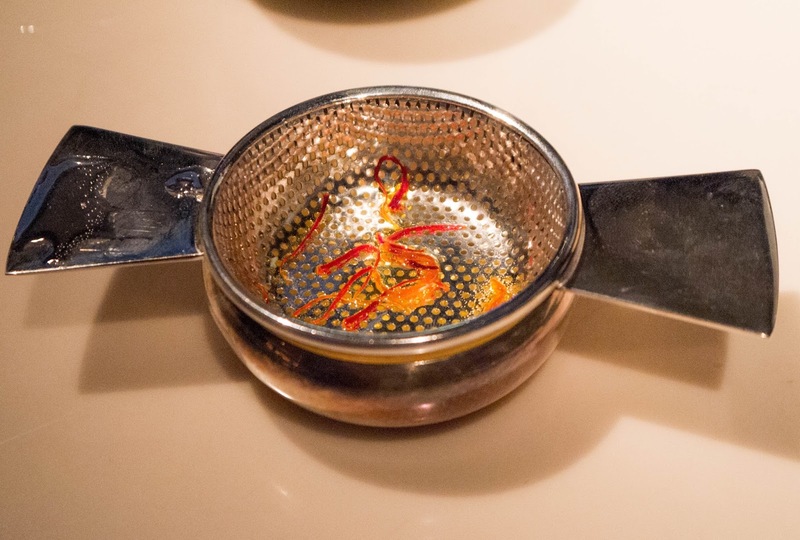 Left with a little extra tonic water and Saffron, we merrily topped ourselves up to make sure that we lapped up all of the incredible flavours. 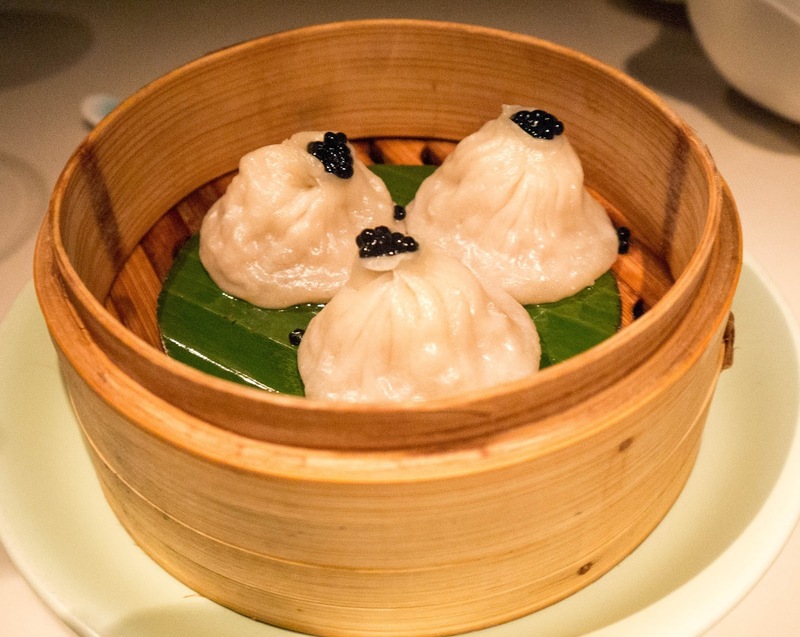 I love the dim sum at both Hakkasan and Yauatcha and so was very excited for this first course! 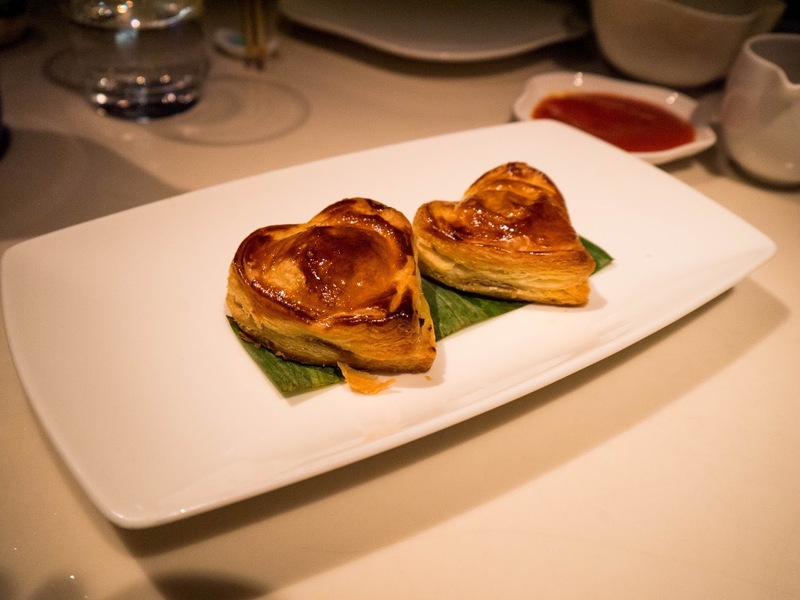 We started with the foie gras roast duck puff. The buttery, crisp pastry paired perfectly with the soft, warm meat inside; it really was a delicious few bites! And you can’t say that that presentation isn’t gorgeous! 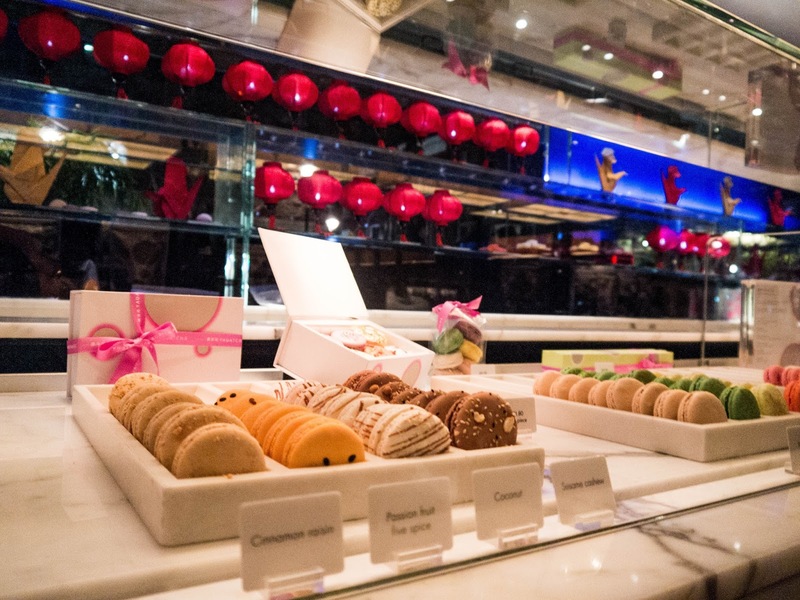 According to Yauatcha, the Year of the Monkey is meant to bring a clever, inventive, sociable, energetic and fun year in comparison with the much calmer Year of the Sheep which has just passed us by. Personally, I couldn’t be more excited for such an exciting year ahead, especially since there’s a lot of change happening for me in 2016. 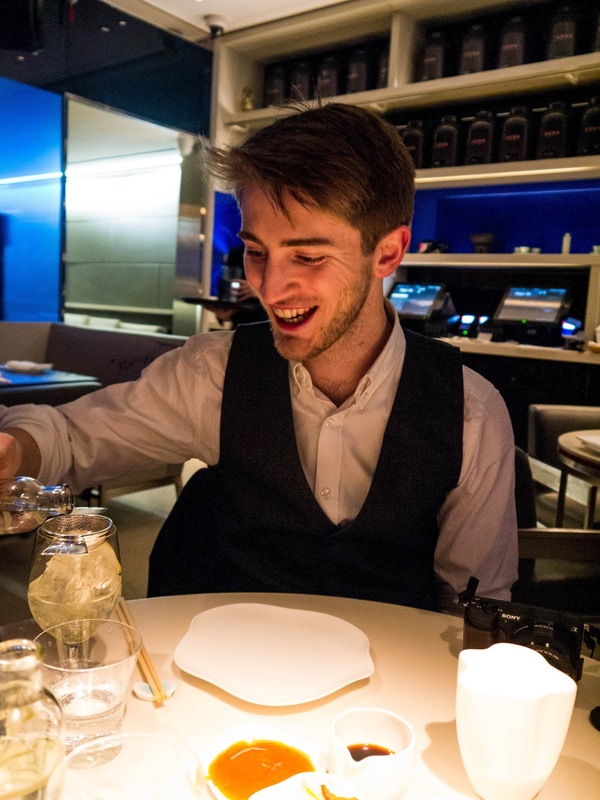 David hadn’t dined in a Hakkasan or Yauatcha restaurant before and after everything I had told him this evening had a lot to live up to: especially the dim sum! 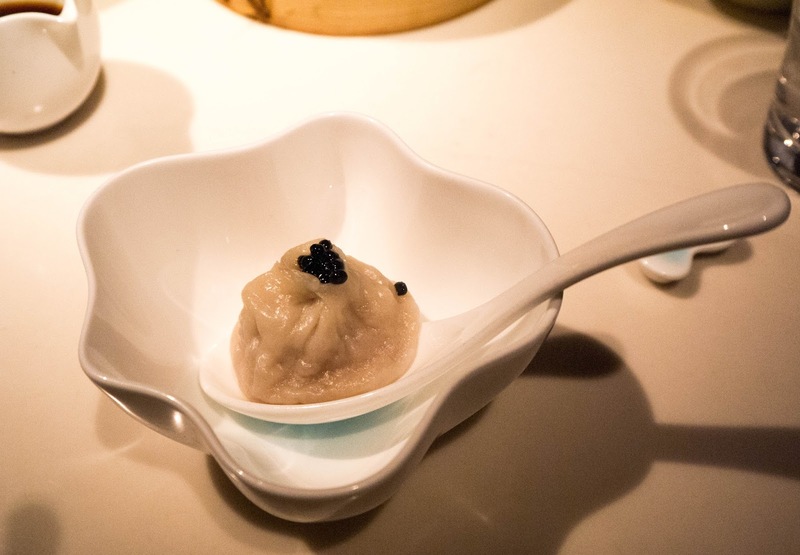 I was so happy that he loved it as much as I had on my previous visits; our favourites this time being the Caviar taro dumpling. There was even a little tussle about who was to have the last one… Don’t worry, David being the true gent that he is offered it to me! 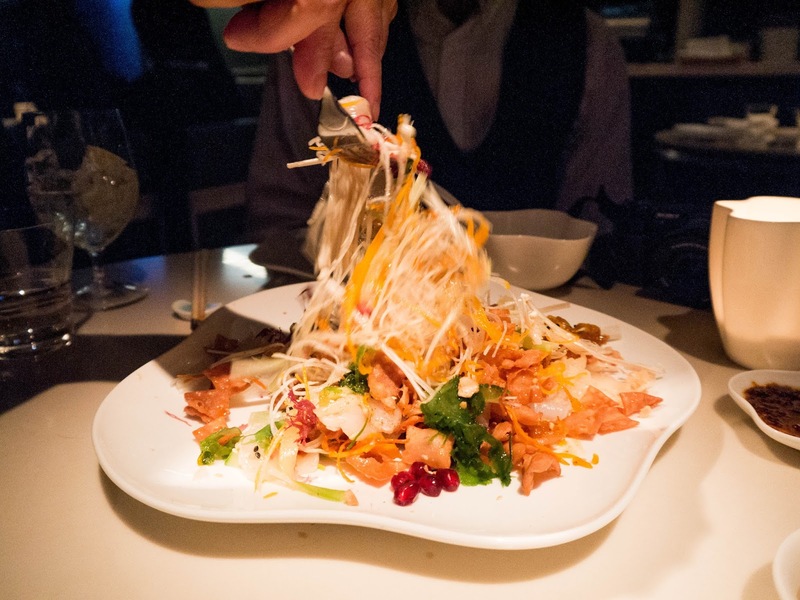 As we came to main courses we opted to share a couple of dishes and chose the Yauatcha scallop yusheng with radish, Japanese seaweed, pomegranate, mushroom and frankly, bursting full of flavour. 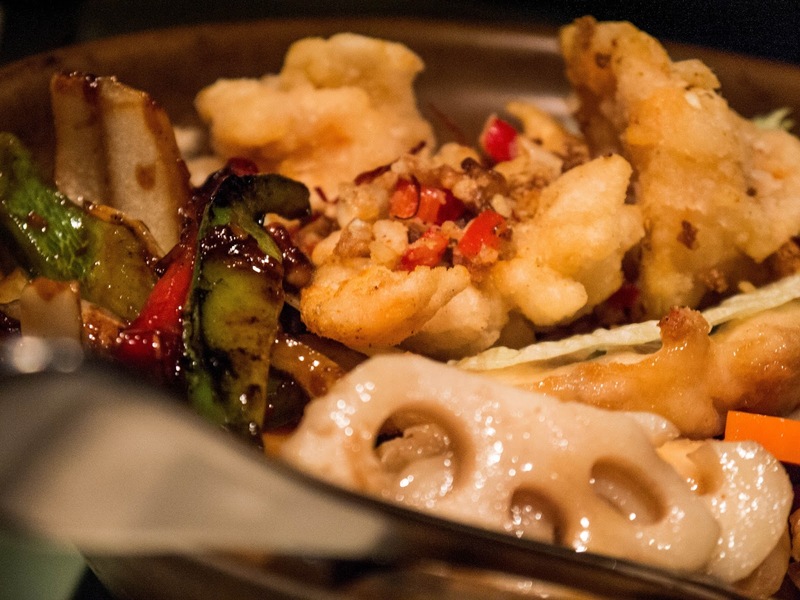 Our waitress told us that this is considered to be one of the luckiest dishes in Chinese cuisine and so it’s a very popular dish around this time of year, being made to bring luck and happiness to families all over the world. We both enjoyed that we were learning not only so much about the food (as the waitress was very knowledgeable about where the food had been sourced) but about the culture and background to each dish. As a huge fan of scallops this dish was perfect for me, especially with the added crunch, texture and sweet yet sour dressing that the salad had. To pair with our main courses the gin flight included a Pomelo Fortune; Monkey 47 gin, pomelo, grapefruit, cranberry, orange and mandarin bitters. 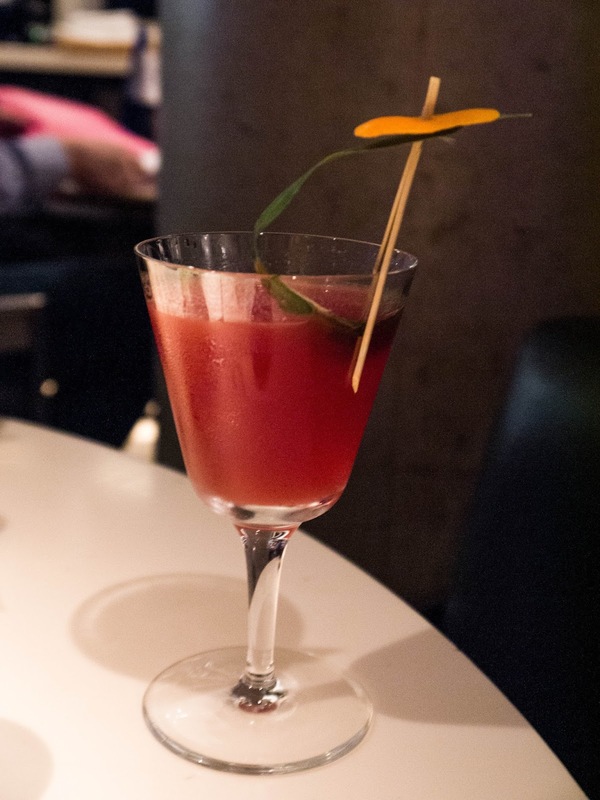 A fruity yet slightly dark cocktail that went so well with the flavours of the dishes and was very drinkable! 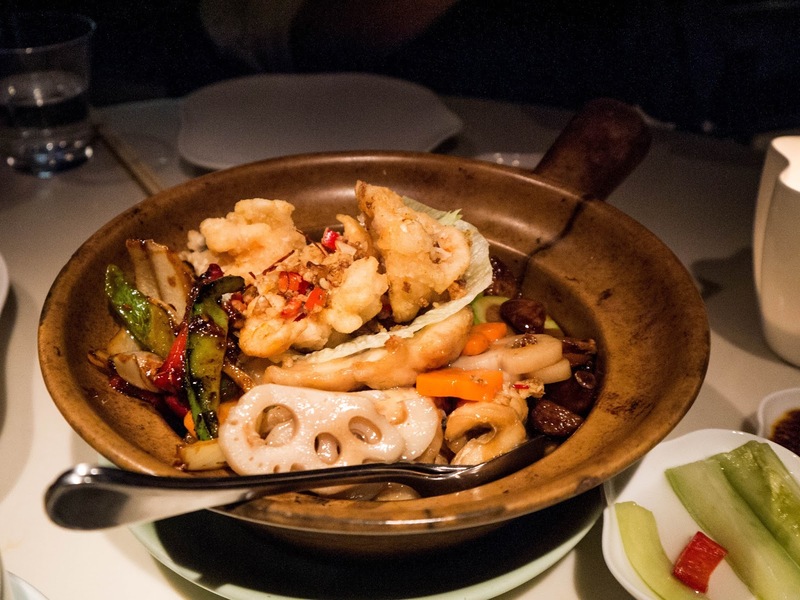 The second main course was the Hakka fortune pot; a very opulent dish with prawns, dried scallops, roast duck, seabass, lotus root, Chinese leaves and mushroom. We were amazed by how many vibrant flavours there were – and even more impressed with a very generous portion size! Both of these main courses are real must orders for me on this menu; they really were some of the best Chinese food we’ve ever had. 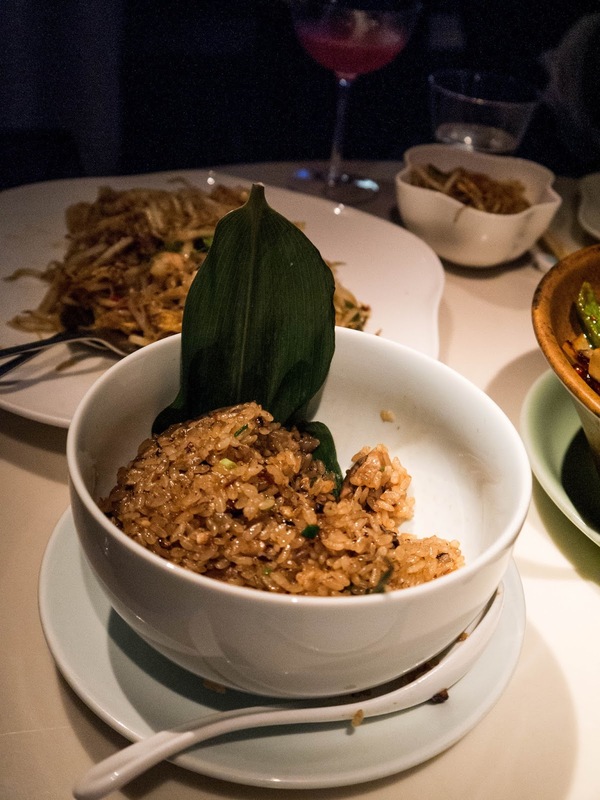 As a side, which I must admit I wish I could have eaten more of, we had the dried oyster sticky fried rice. This is one dish that puts an end to the myth that rice dishes are bland and dull as the flavours in this dish were wonderful. I love really sticky fried rice so this was the perfect accompaniment for me, though David also loved his noodles. All too soon it was time for our final cocktail and food pairing of the evening; the Monkey 47 inspired macarons and Pink Kumquat cocktail. The macarons themselves are gorgeous (in fact I was more than a little tempted to buy a box to take home, too!) 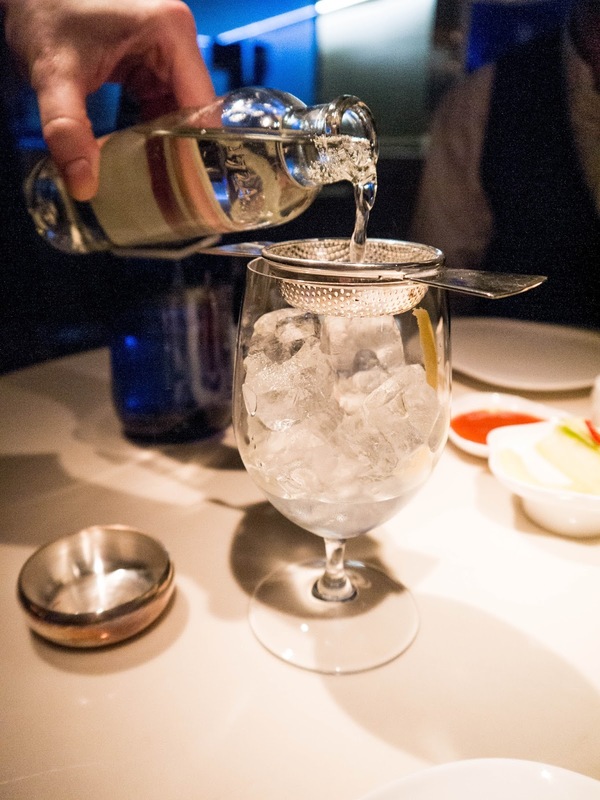 and come in some incredible flavours: gin and tonic, elderflower ginger, juniper berry, rosehip and camomile. 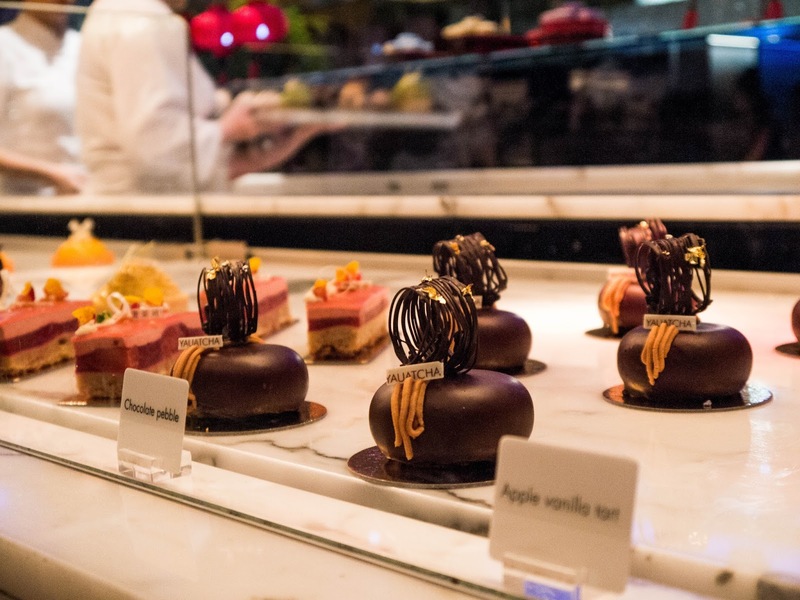 They were decorated just as they would be in a Parisian patisserrie; I was so impressed with the quality, the design and, most importantly, the taste! 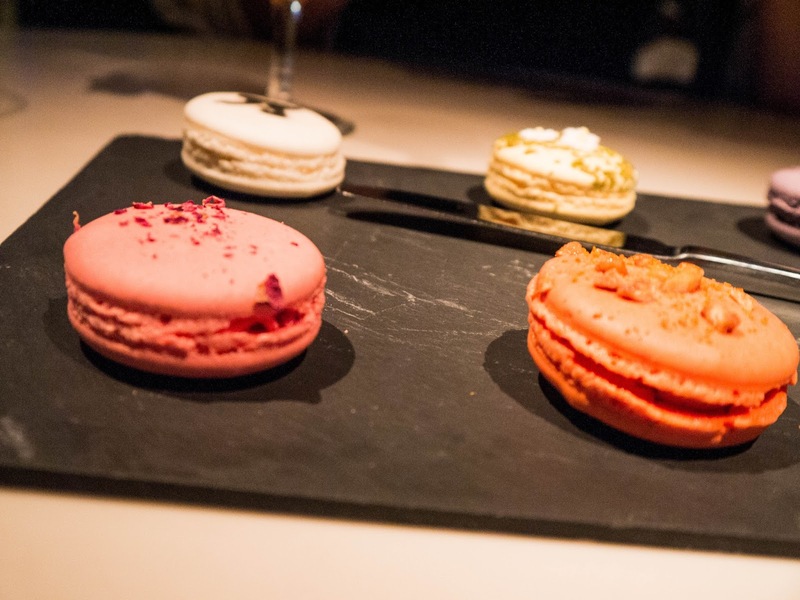 I adored the rose macaron as well as the G&T (well, I am partial to one on a Friday night..!) whereas David thought that the elderflower was best. If the Year of the Monkey goes as well for me as this meal did I’m in for a very exciting year! This very special menu is only running for a short window of time so make sure you book a table soon! 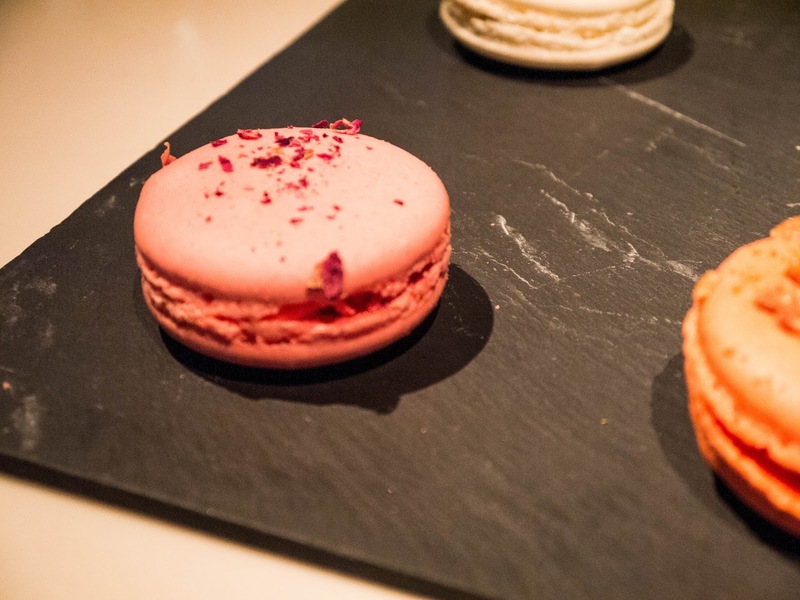 …or a box of gorgeous macarons! 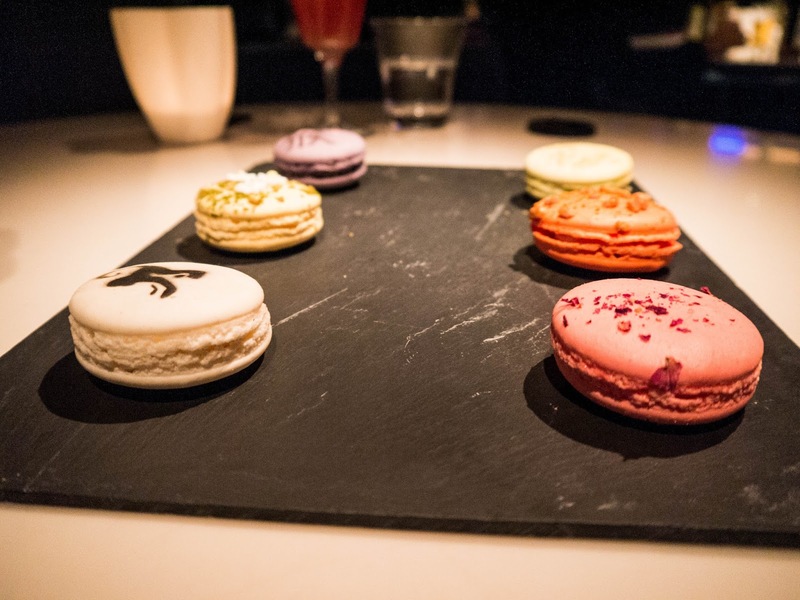 We were guests of Yauatcha Soho on this occasion but all opinions are my own. 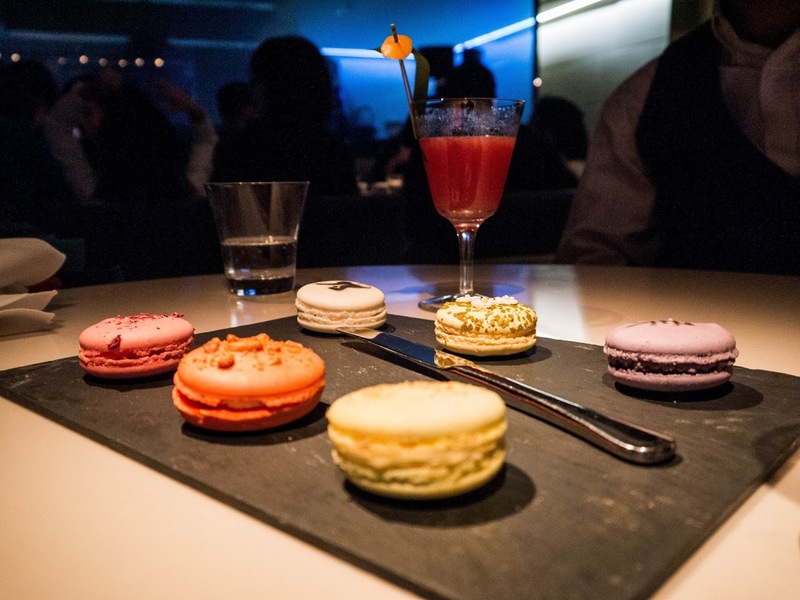 The Chinese New Year menu and matching gin cocktail flight are available until 21st February at Yauatcha Soho and Yauatcha Broadgate Circle and are the perfect date night celebration.